Multi-Client Study | Muse, Stancil & Co. 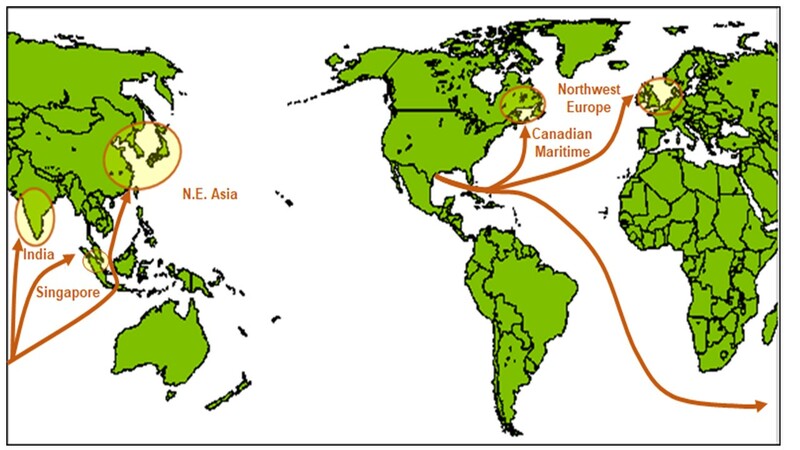 In this new study by Muse, Stancil & Co., (“Muse”), the competitiveness of growing U.S. crude oil exports in key markets around the world are examined in detail. Since the lifting of U.S. crude oil export restrictions in 2016, buyers and sellers alike have been interested in establishing the value of U.S. crudes against competing grades. The refining value analysis of key U.S. crude exports presented in this study will help producers and exporters of U.S. crude oil and Asian oil refiners in understanding the factors determining the relative competitiveness of U.S. crude oil exports in global markets. These factors include proximity to local or regional crude oil production, refinery configuration, freight costs, and refined oil product demand in terms of both volume and specifications. More strategic considerations are also discussed, including diversification of supply and blending optimization. The report derives refining values for Midland WTI, a light-sweet shale oil from the Permian Basin, and Mars, a deep-water medium-sour conventional grade produced in the Gulf of Mexico, when processed in a range of typical refinery configurations in Asia, Europe, and Eastern Canada. To place the results in a global context, the resulting values are compared against a sample of similar, competing grades that are typically traded in each target market. The refining values for each refinery configuration are based on location-adjusted product prices that have been derived from Muse’s proprietary Crude Oil and Refined Products Price Forecast and are appropriate for the specific countries/regions in the study. The price forecast includes a structural shift in the global petroleum and refined product markets due to the implementation of the IMO low-sulfur bunker fuel specification beginning January 1, 2020. The market analysis presented in the report is set in context for the reader with sections covering U.S. crude oil production projections, current and future developments related to expanding export infrastructure on the U.S. Gulf Coast, and key historical price differentials illustrating the arbitrage relationships between competing grades in global markets. The report includes a discussion of market instruments and methodology necessary to translate U.S. crude oil prices, which are typically indexed to NYMEX WTI, to customary Asian crude pricing formulae that rely on the Dubai quote as the reference benchmark. The market segment concludes with a statistical analysis that explains significant correlations between crude oil price differentials and export outcomes. The refining value analysis provides an indication of which refinery configurations in key markets over time are likely to perceive the highest value for exported WTI and Mars cargoes. It also compares Refining Value at the Refinery Gate, as well as Netback basis for U.S. exports versus the commercially important, competing grades listed above. A Refinery Gate break-even analysis is used to illustrate nuances in WTI-related price assessments that could lead buyers to misread inter-regional arbitrage relationships. 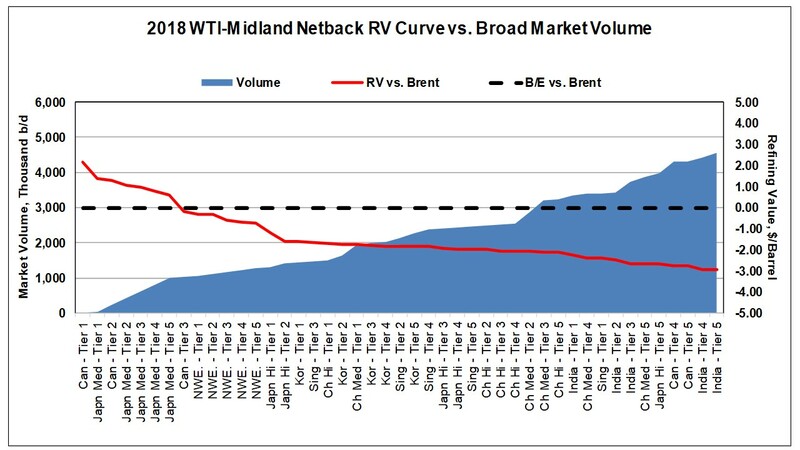 Finally, supply curves are presented that describe the change in refining values with increases in volumes refined in particular markets and refinery configurations.